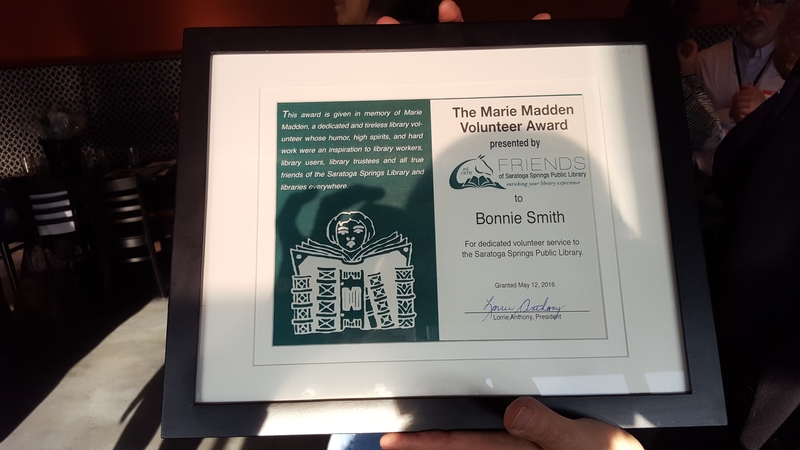 Bonnie Smith, Friends Book Shop volunteer, received the Library’s Marie Madden Award which is given in recognition of volunteer service to the library. Bonnie was unable to attend our annual meeting. Jeff Budge, Friends Book Shop manager accepted the award on her behalf.